Career & Business What is IMPS and how does it work? IMPS is a very fast service to transfer money, so that we can send money to any bank account at any time 24X7. The service of IMPS is faster than NEFT and RTGS and this money is paid immediately. 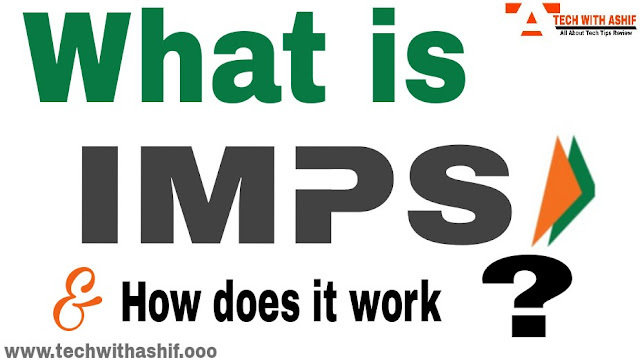 In this article we will tell you in detail about what is IMPS and how it works and what are its benefits. The full name of IMPS is IMMEDIATE PAYMENT SERVICE. IMPS is a very secure way of transferring money, which is operated by NPCI (National Payments Corporation of India ). Through IMPS, you can send money to anyone from your mobile sitting at home, you just need to know the person's mobile number and MMID which is of 7 digits. If you want, through account number and IFSC code Can send money. 1- You can transfer money in 24 hours and Bank Holiday via IMPS, while you can not do this in NEFT and RTGS. 2- Facility of sending money through bank account number and IFSC code, mobile number and MMID, adhaar number. 3- If you do not have an internet connection, you can still use it via ussd code or sms. 4- The service of imps is powered by npci, which is very fast and secure. For this, you must know the beneficiary's bank account number and ifsc code. Login to the Mobile Banking App and select the option of IMPS using account number and ifsc and add the beneficiary's account number and ifsc code and amount and click on submit. After that enter your MPIN you will see a message of successfullly fund transfer. Through this option you can send the money to the beneficiary through its mobile number and MMID. For this, you have to choose an option with IMPS using mobile and MMID. Here you have to enter the beneficiary's mobile number, MMID and amount and submit it. Then you have to put your mpin and money will be transferred. Friends, as you know today's era has become digital, all the work has started coming from your smartphone. The biggest change is in the manner of banking transactions. With the arrival of mobile banking, you All the banking work can be done by sitting at home from their mobile. Now you no longer need to be in the bank's line, you can avail the benefits of banking services wherever you want from your mobile phone. Often new users are confused about the terms or words used in mobile banking such as MPIN, MMID, IMPS, in this Article we will also know about these terms. MPIN is the number of four digits that you get for registration for mobile banking. Customer's mobile is sent to a Temporarily mpin via sms. Before using mobile banking, we should temporarily change the mpin. For any kind of financial transaction we have to enter our mpin. You can not do the transaction without it. Always keep mpin confidential, do not share it with anyone. MMID is a seven digit number That is, you get your account register for mobile banking. We can share MMID for getting money. If we have to get money from someone through mobile banking, then we will have to tell them only their registerd mobile number and mmid, we will have our account number Do not need to tell ifsc code etc. IMPS is a money transfer facility through which we can send money to any bank account from our mobile phone to anyone. IMPS is the service run by National Payment Corporation of India (NPCI). Transaction through it is completely secure. Through IMPS you can transfer money through mobile number and mmid or through account number and ifsc code. Hopefully you may have liked the information related to the IMPS and you have come to know what is IMPS and how it works. Also what is MPIN, MMID and when it comes to work. You give your suggestion in the comments.